Carmen Mariah: Shop Giveaway on Susannah Bean! Shop Giveaway on Susannah Bean! Happy Sunday, ladies & (manly) ladies! 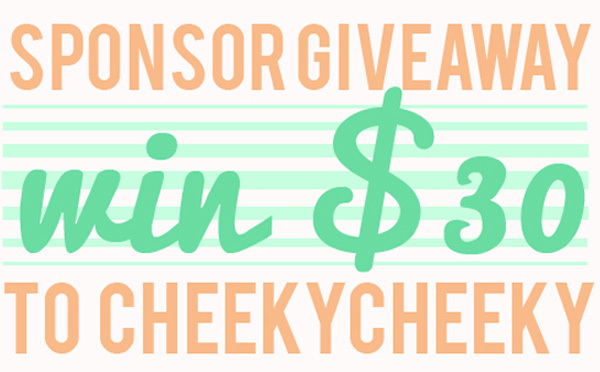 I'm so so so excited to give you guys the DL (down-low) on a giveaway Shop Cheeky Cheeky is doing- our first giveaway EVER! (This whole starting an online shop thing has brought on so many firsts, and they never get old. "OMG this is our first sale EVER!" "OMG this is our first tweet EVER!" What? I get excited easily. ANYWAY! We're doing a $30 shop value giveaway over on Susannah Bean's blog! (I'm also her featured sponsor of the month- a first for me too! I'm just losing my virginity all over the internet this week. Sorry Mama.) Please be a doll and head over to her site to enter the giveaway. Her blog is pretty adorable. Plus, you have a chance to win $30 worth of vintage awesomeness + free shipping. Um, yes please! We have new items launching this week, so be sure to keep checking our Etsy site for our newest additions. I'm seriously obsessed with some of the new stuff that's going up this week. I have a feeling you guys will like them, too! Oh, and if you're a new reader who found me through the lovely Susannah Bean- HI!!!! Thank you for joining in on the fun! I hope you're okay with my overuse of exclamation points and abbrevs like OMG.